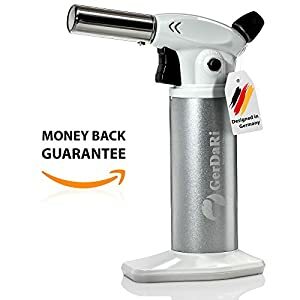 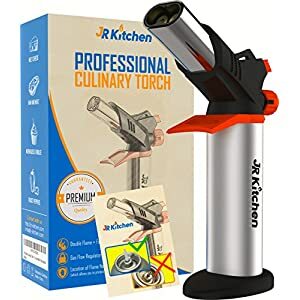 Surprise and Impress Friends and Family with Chef Style Cooking and Become Everyone’s Favorite Host7 Reasons Why the Ingeniosity Products Professional Culinary Torch is the Best on Amazon1. 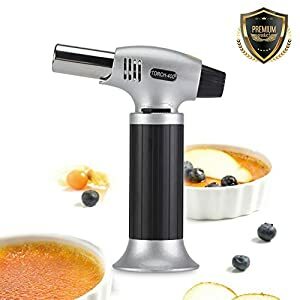 Widest Range of UsesCaramelized fruit, toasted marshmallows,s’mores, baked Alaska, cauliflower cheese, French onion soup, creme brulee, seared scallops, chargrilled vegetables, seared meat and fish, flaming cocktails…to name but a few.2. 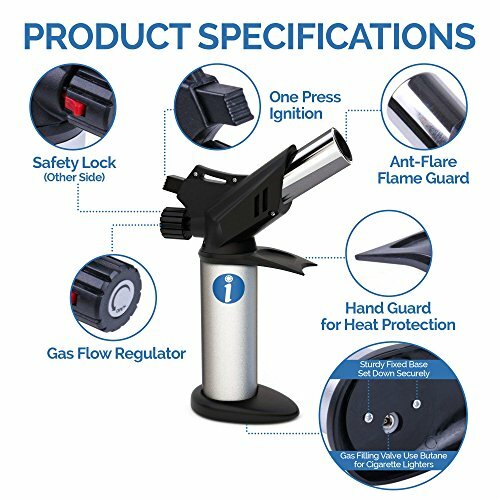 Latest Safety FeaturesSafety lock prevents accidental ignition, hand protection plate prevents burns, flame guard prevents flaring, sturdy fixed base prevents it falling over3. 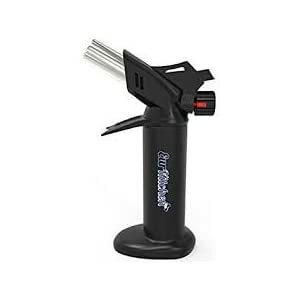 Easy to Refill Without Butane Spillage Many other torches are difficult to refill. 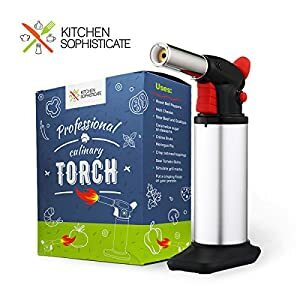 The Ingeniosity Products torch fills easily and cleanly with minimal leakage.4. Practical, Stylish and DurableStylish matt black and stainless steel finish. 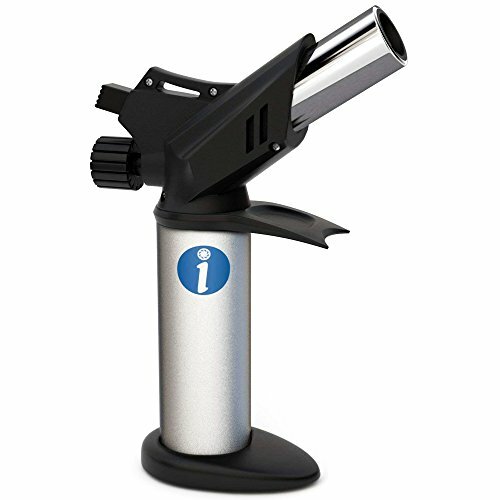 Made from strong and durable metal and plastic to withstand the activity in a busy kitchen. 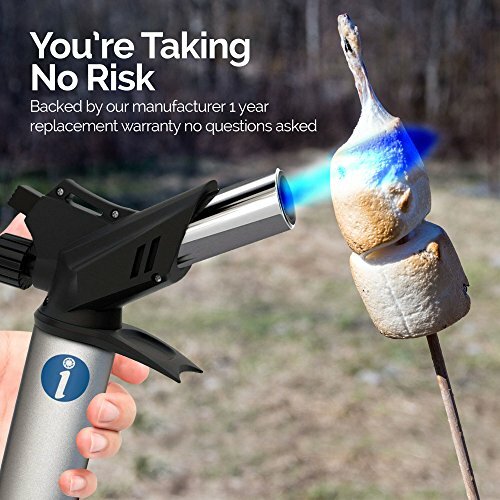 Feels very sturdy, but its light weight makes it easy to work with for as long as you need. 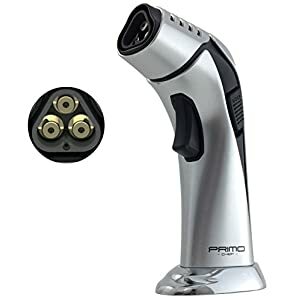 Its smooth surfaces are easy to clean – simply wipe with a damp cloth after it has cooled down.5. 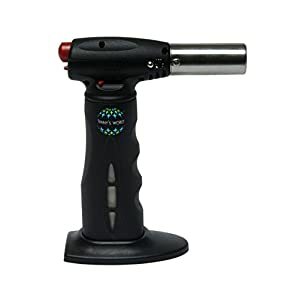 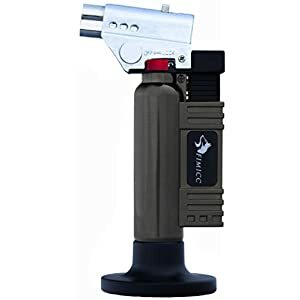 Adjustable Range of Temperatures for Perfect Results Every TimeWith a maximum temperature of 2370F, this torch is one of the hottest on the market.Not all foods need a flame this hot, so the sensitive gas flow regulator lets you adjust to the ideal temperature.6. 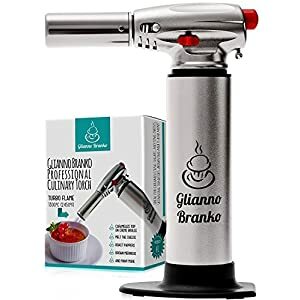 A Perfect Gift for your Foodie FriendsThey will be thrilled with the fantastic gift you got them7. 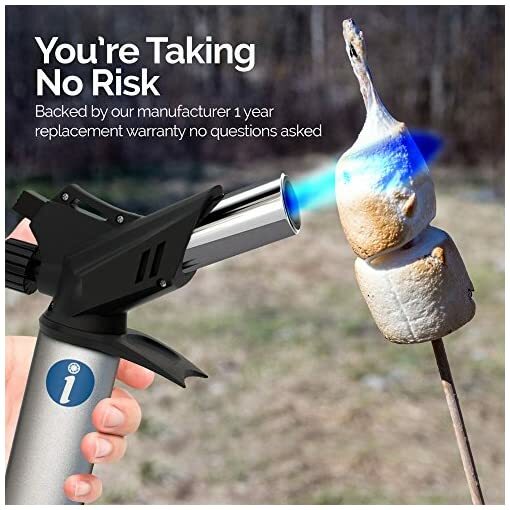 Money-Back GuaranteeFull refund – No questions askedDiscover the Ingeniosity Products Professional Culinary Torch for yourself risk-free! 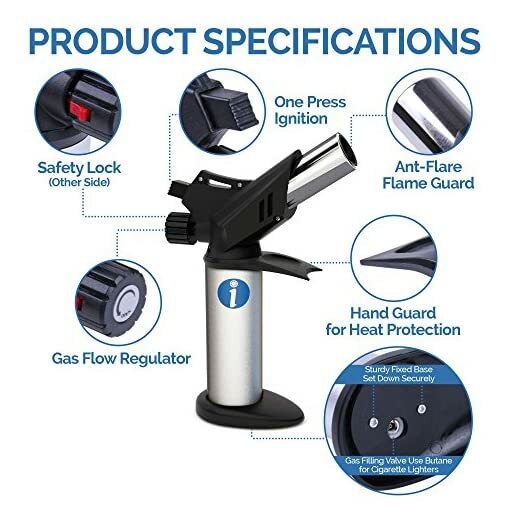 Order today….and while you’re at it, pick up a couple as gifts! 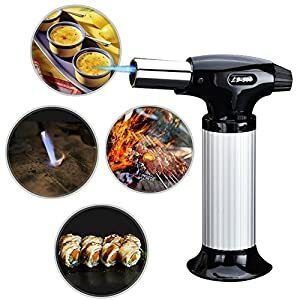 ADD SOME FUN TO MEALTIMES; Not just a creme brulee torch set; Use it to sear steak and scallops; toast marshmallows; make s’mores; flame cocktails; flambé deserts; glaze ham; chargrill veggies; or even light the barbecue!